Polyjackets are ultra-tough, light-weight and protective flat poly mailers made from a durable, moisture resistant, multi-layer blend of co-extruded polyethylene film. They are constructed with a bottom fold and strong, heat sealed sides for superior bursting strength. The pressure sensitive self-seal adhesive closure system is reliable, tamper-evident and easy to use. Polyjackets are ideal for less fragile shipments such as clothing, soft goods, documents, parts, soft toys and pharmaceuticals. 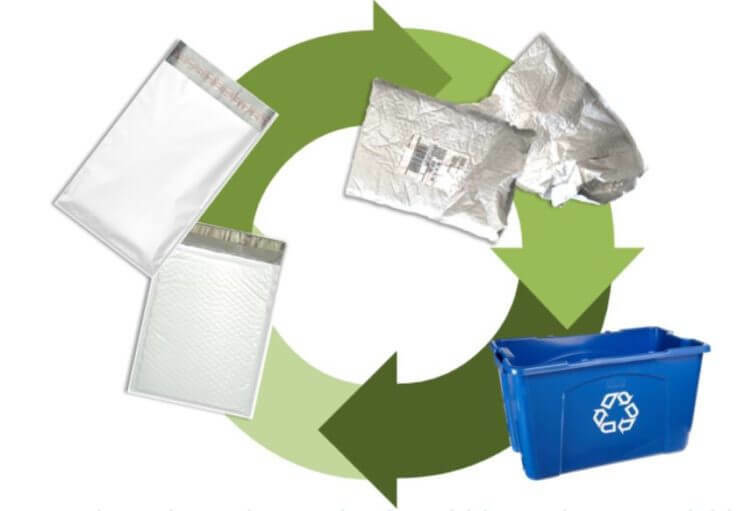 Polyjackets are 100% recyclable, made from #4 LDPE. Eliminate the need for corrugated boxes, air filled pillows, packaging peanuts or crumpled kraft paper and stop over packaging. Not only will you decrease DIM weight costs by downsizing to mailers, but you will decrease your total carbon footprint as well. Click here for more information on the recyclability of the Polyjacket, or use our DIM weight savings calculator to see how much you can save. 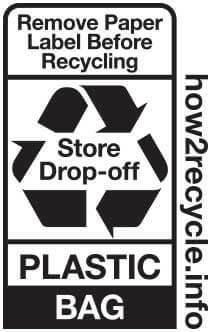 Curbside - Each municipality has different recycling capabilities, so check with your local service to be sure they can recycle #4 plastics before dropping your poly shipping mailers in your curbside recycling container. 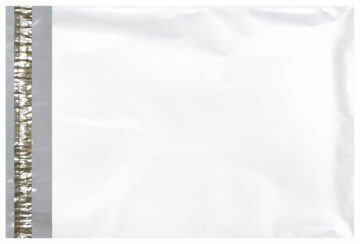 Plain white Polyjackets are available through our convenient stock products program in 8 industry-standard sizes. Before your customers ever see the product, they will see the branded mailer it came in. Don’t waste that precious space! Put your brand right in your customer’s hands with custom printed bubble mailers. We can print even the most complex designs with our six-color printing process. Create your custom design with our online Build-A-Mailer tool.